Wharton-Smith Selected to Build Pascagoula High School Performing Arts Center | Wharton Smith, Inc.
Gulfport, MS – April 4, 2018 – Wharton-Smith’s Gulf Coast Division was recently selected to build a new 44,000 square-foot, 775-seat performing arts center for the Pascagoula-Gautier School District. 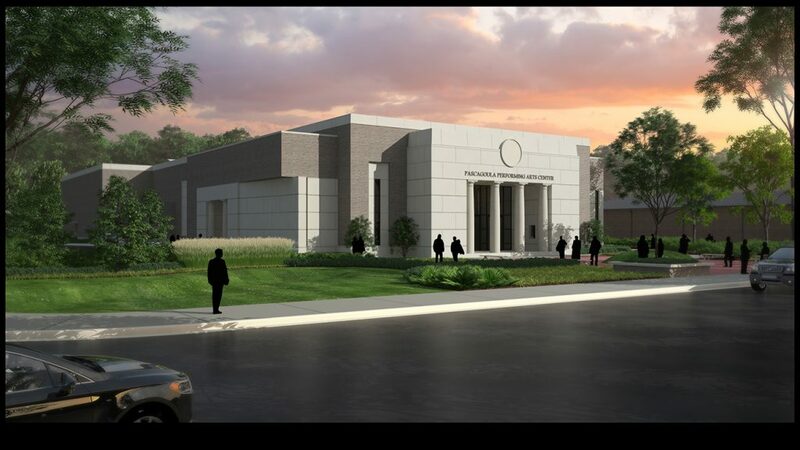 The new center will be located at Pascagoula High School and will provide opportunities for the school’s drama performances, speech and debate, band and choir concerts, as well as bringing in outside entertainment to the community. “Wharton-Smith is excited to be part of such a historic landmark addition to the Pascagoula-Gautier School District and the entire Jackson County community,” remarked Darryl Harris, Gulfport Division Manager for Wharton-Smith. The $14.7 million facility will be constructed of structural CMU and steel with face brick and an architectural precast concrete façade. The architect is JBHM Architects. The project is expected to be complete in fall of 2019.